We are a diverse aircraft management, charter, maintenance and aviation resource. 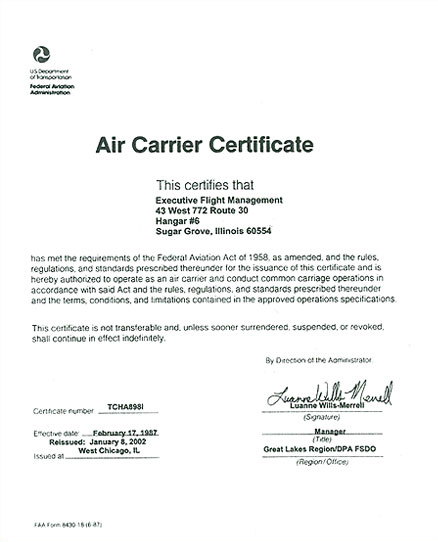 Our credentials include Federal Aviation Regulation 91, 135, 125, 121 and 145 for business and transport aircraft operations. We offer specific expertise on Boeing, Gulfstream, Bombardier, Dassault, Cessna, Raytheon and Embraer ranging from turbo props to light, medium, heavy and transport jet aircraft. Combining your goals with our approach is the innovative synergy where you fly on the leading edge. Your advantage begins with our desire to listen. 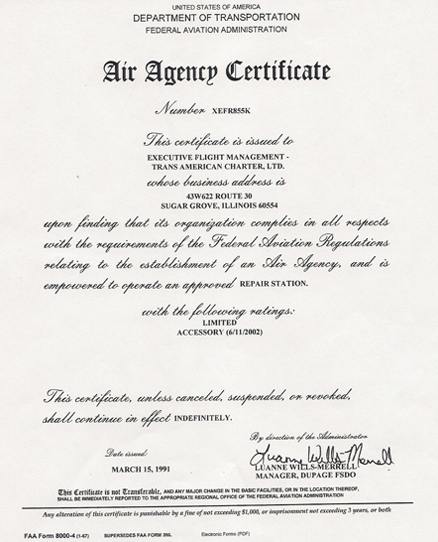 Our team of mechanics, pilots, customer service representatives and administrative support staff average more than ten years with this company.